My first Wednesday November birding trip (my first ever birding trip) started out early in the morning. 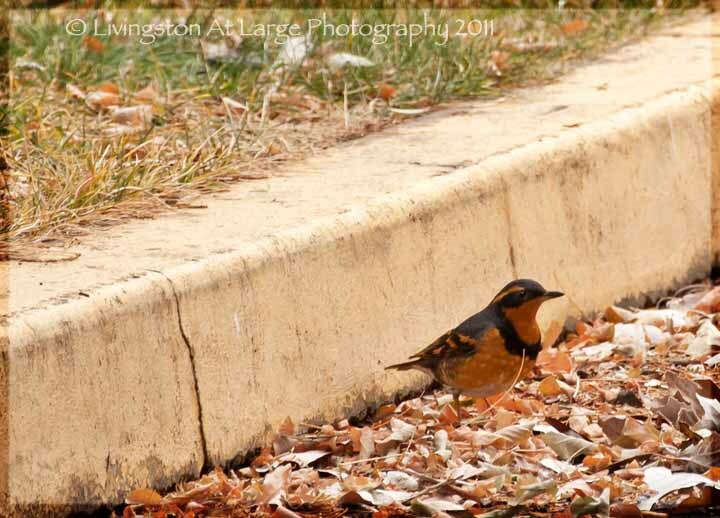 We all met at a local bakery and carpooled out to some areas around Bend.The first thing we found besides robins and ravens, was this varied thrush at Cline Falls Park. I had never seen one of those so it’s called a “Life Bird” for me. I am getting a lot of those up front here since I am new to this. OK so back to the birds. We also found a merlin but he was also too far away for photos. My birding dudes are driving 50 mph while holding binoculars and watching birds. If they find something good they swerve to the side of the road and stare.I can't believe we don't get stopped for reckless or drunk driving. This juvenile white crown was kind enough to hang out and pose for me until I got my bird photography wings (so to speak). 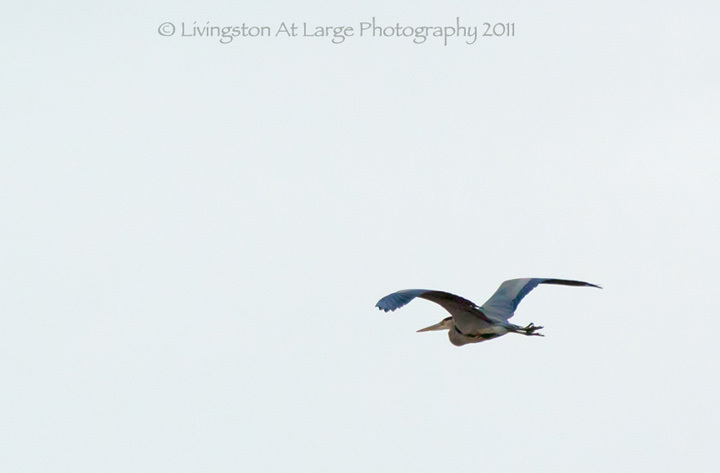 ...and shortly after that someone yelled “GBH overhead 11 O’Clock!” as a great blue heron flew over. That was most awesome. The day was great. We also saw house finches, robins, ravens, geese, ducks, red-tailed hawks and a zillion others I'm forgetting as well as, coyotes, donkeys and otters along with some superb landscapes. 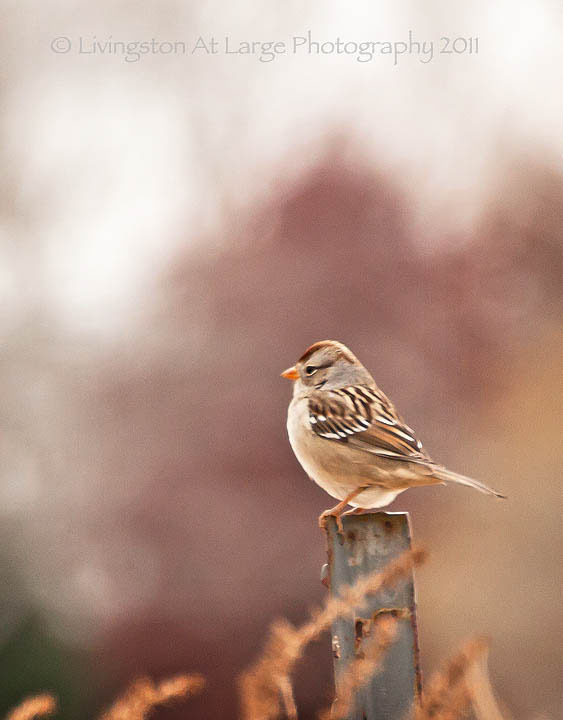 Today our birding group went to the Sunriver area for Wednesday November birding. It was really, REALLY windy. Not a ton of birds but enough to keep this newbie happy. I scared the first great blue heron off the river, which was sad since I really wanted that shot. He did fly overhead so that was nice. 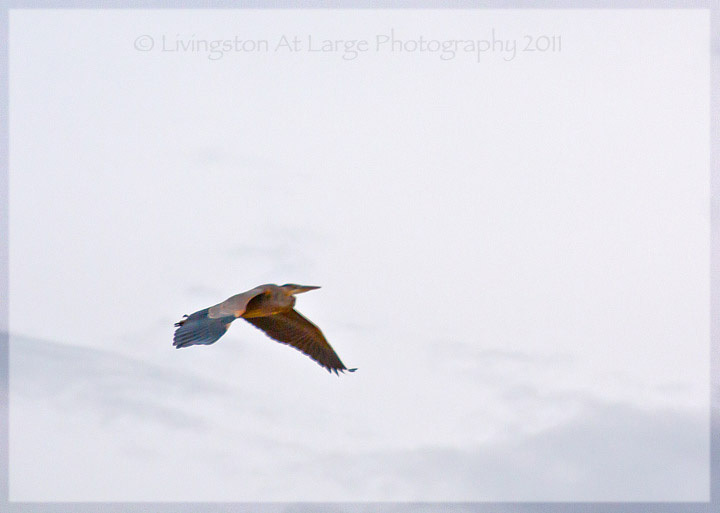 We also caught a great blue heron way up in a tree far away thus reinforcing my need for a 500MM lens. 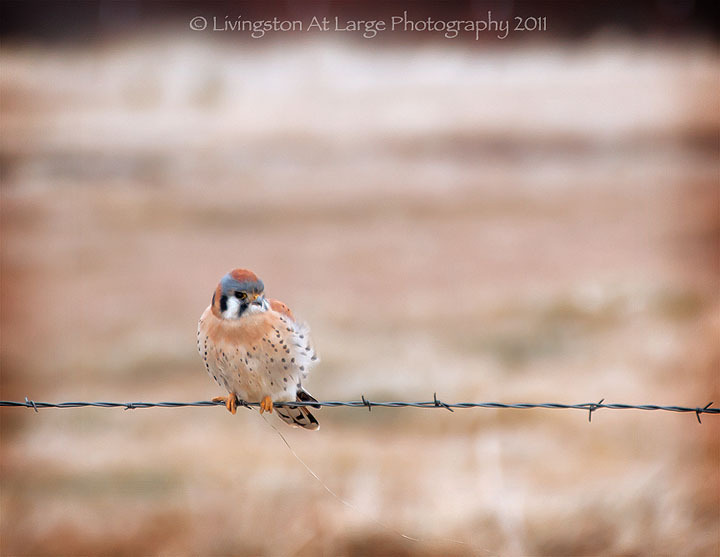 The little kestral was hunched on the wire in the wind and he wasn't going anywhere so that gave me some good shots. 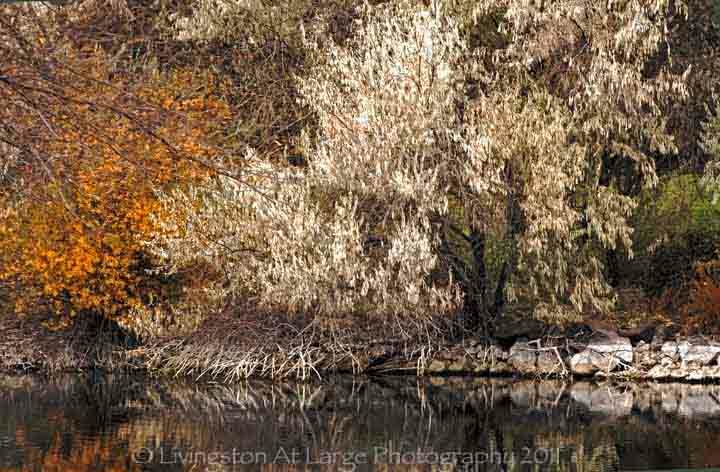 ...and the light on the river was just too good to pass up this landscape shot. It’s going to be in the A & E magazine! We didn't see very many birds. 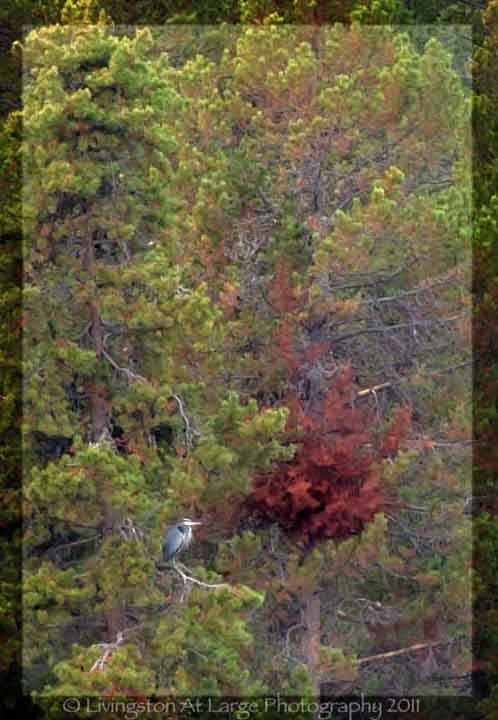 We heard a few we would have liked to seen, like the rock wrens and a few fleeting glances of clark's nutcrackers. 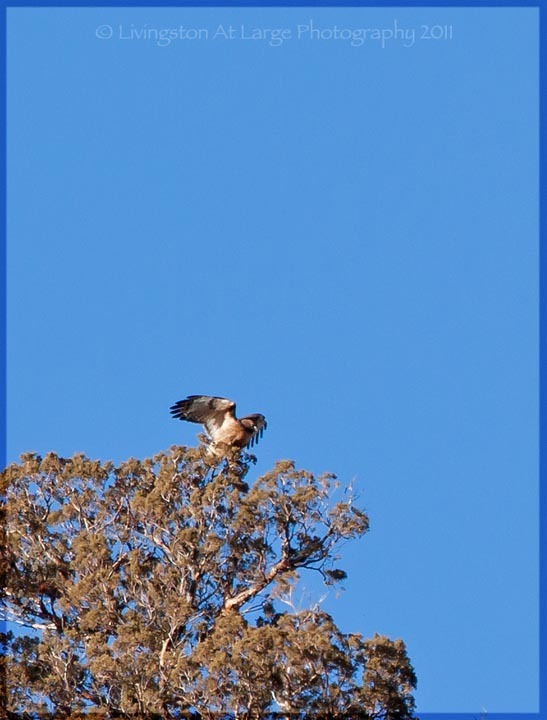 I did get one nice photo of a red-tailed hawk landing in a tree. 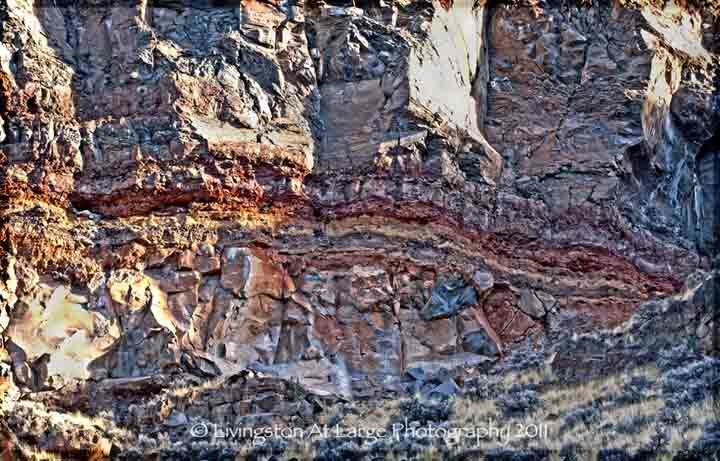 The landscape yielded a few nice images of volcanic layering…. 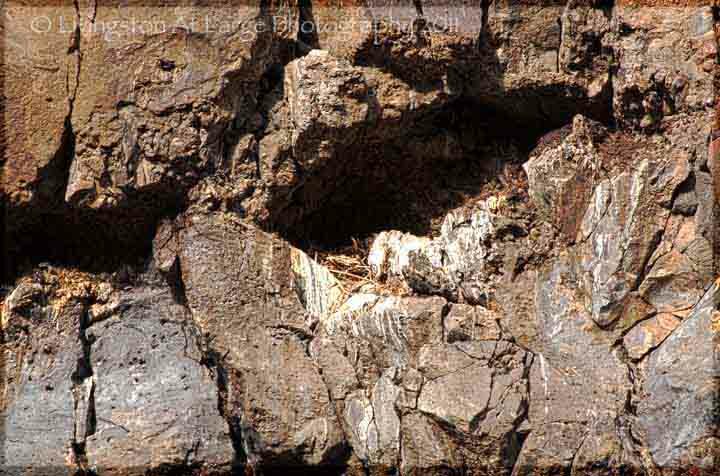 …and the old owl nest was cool!